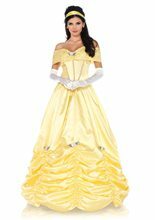 Deluxe Belle Child Costume.Includes: Deluxe dress with character cameo, petticoat, pair of glovettes and matching headband. Available Size: Toddler - XSmall (3T-4T), Child - Small (4-6), Child - Medium (7-8). (See Size Chart For More Information) *Shoes Not Included. Accessories Sold Separately. 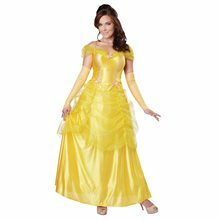 Be part of a tale as old as time as the beautiful princess belle this Halloween. 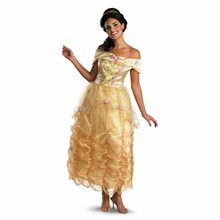 Tame the beast as you dance the night away in this beautiful costume.